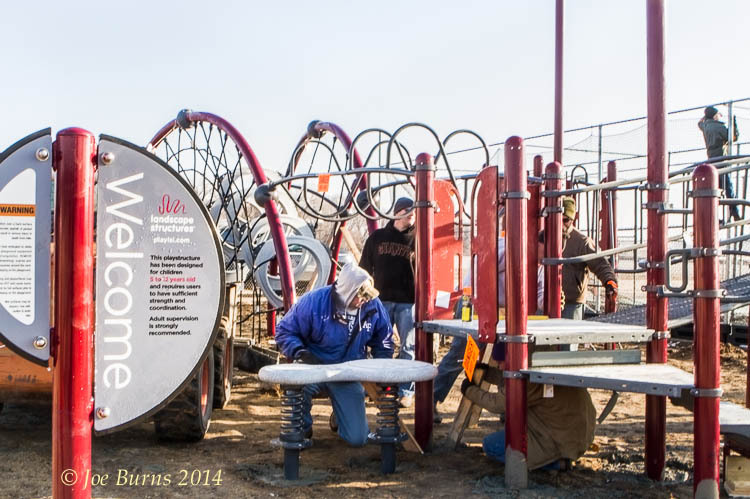 Youth Sports Organization volunteers assemble playground equipment. 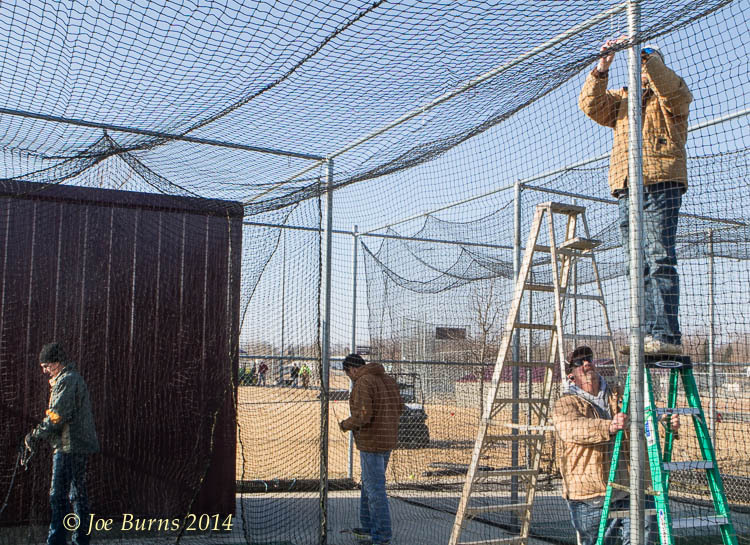 Around 40 volunteers took advantage of the relatively nice weather in late March to construct and assemble the new playground equipment at the Two Rivers Bank Sports Complex as well as get the facilities cleaned up, spruced up, and ready for baseball. 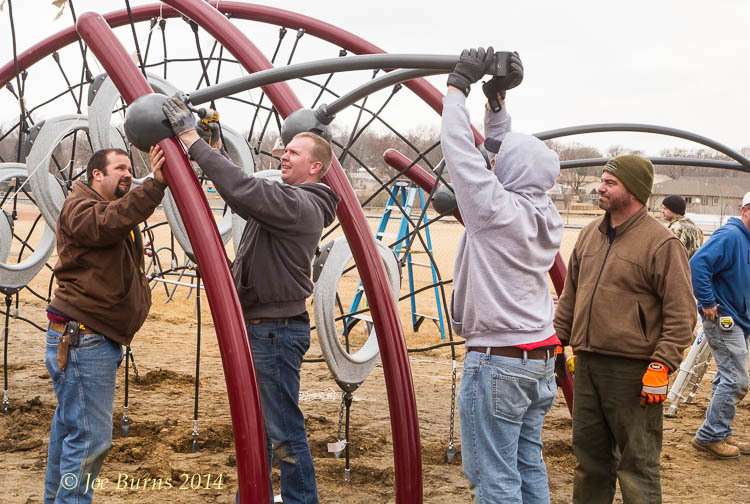 Arlington Youth Sports President Brad Soll said the play structure is complete except for one missing piece due to the wrong part being shipped. A sidewalk and fencing will also be added. Arnett said the equipment is geared to ages 2-8 because those were the kids who needed somewhere safe to play while their siblings were playing ball. She said the Association chose the design because it is different than the other play structures the kids in our community have to play on now and the unique design would capture their imagination. The $50,000 project was funded with money from Two Rivers naming rights at the complex, AYS funds raised through the annual tractor pull fundraiser, which includes many corporate sponsors, and $10,000 provided by The Village of Arlington. Putting up nets on the batting cages.